The Definition of "Inclusive Business (IB)"
The Asian Development Bank (ADB) defines "Inclusive Business (IB)" as commercially viable and bankable companies whose core business models provide, at scale, innovative and systemic solutions for poor and low-income people living below the poverty line. (ii) providing income and/or employment opportunities to low-income people as producers, suppliers, distributors, employers, and/or employees. (iii) employees, by creating decent jobs that benefit unemployed, underemployed, and low-income workers. (ii) a business operation of a larger business entity. World Business Council for Sustainable Development is credited for coining the term "Inclusive Business" in 2005. Fundamental to the emergence of IB is the belief that commercial drivers can align with development outcomes. Expanding markets for products and services to maximize profits can create opportunities for the poor and the disadvantaged. The term "Inclusive Business (IB)" is not widely used in the People's Republic of China (PRC). However, a small group of companies does implement IB approaches, with many closely aligning their business activities with the central government’s poverty alleviation agenda. A large portion of the IB contacts interviewed has worked with the government’s poverty alleviation offices to contribute to the Precise Poverty Alleviation Campaign. The financial performance of these IB approaches is related to external factors, including access to unique natural resources and favorable government policies, such as preferential prices and capital expenditure subsidies. For those companies focused on selling to the BOP, product differentiation is a challenge to be addressed when faced with the end-consumer, and few companies have established their brand values as a point of difference in the market. IB approaches and potential IB approaches identified are predominantly classified as inclusive agribusiness initiatives in rural areas or businesses supporting disfranchised minority groups in urban areas. In rural areas, most of the BOP work in agriculture. As a result, agriculture businesses, such as crop farming and husbandry, work primarily with large numbers of local farmers. These companies play key roles in creating additional income or jobs for the BOP at scale and demonstrate several common practices and patterns beyond income increases, including improving income stability by raising production yields via advanced technologies or standardized practices and reducing the costs of agriculture inputs. In addition, agriculture IB approaches often rent land from farmers to build centralized company production bases, which result in the creation of additional jobs by hiring local farmers and producing more standardized and higher-quality products. As an example, Raohe Black Bees in Heilongjiang Province builds bee production facilities, leases these facilities to local farmers, and provides them with technical training. Farmers can then raise their own bees on the Raohe production base and sell the honey back to the company at a fixed protection price that is, on average, 30% higher than the market standard. If the honey satisfies higher European Union quality standards, the farmers are paid a premium over this protection price for their honey. Previously in Heilongjiang Province, local farmers traditionally raised bees without any technical training, so the quality of the honey produced was poor. Thus, farmers sold their honey to vendors at low and volatile prices, earning little income. In addition to more traditional crop farming and husbandry in rural areas, some energy companies have launched pilot programs to install solar panels on the housing to generate electricity or to collect animal manure to make biofuel. Such initiatives have helped create extra income for farmers by selling the energy produced and reducing emissions that would have been generated from using traditional fuels. The most impactful and effective IB approaches to address poverty from multiple angles that often include innovative technical solutions. As an example, Alibaba adopted the Double Cores + N Services Strategy, whose first core consists of promoting the development of taobao villages, which are rural areas with grassroots e-commerce businesses and scalable e-commerce ecosystems. 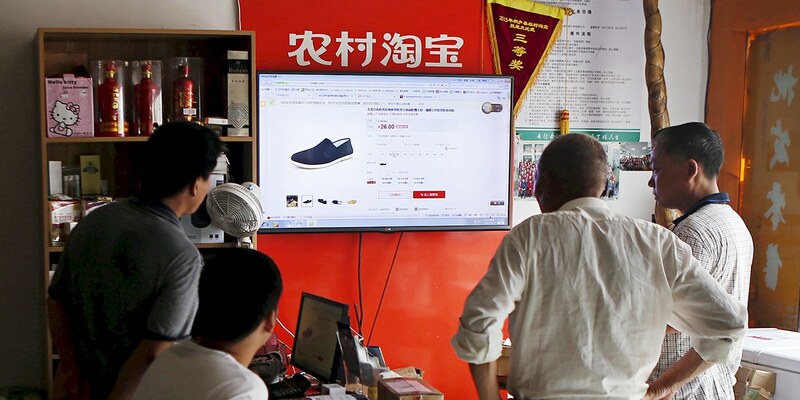 The second core focuses on the rural taobao program, which builds out rural e-commerce operation centers in low-income rural areas to collect products to sell, bring in outside products, and provide rural e-commerce training services. The N Services portion then helps provide product sales platforms, production material services, logistics services, and e-commerce training services. The rural communities benefited from accessing cheaper products online as well as increasing income by selling their agriculture products to additional online channels. On the other hand, the company gained market share in a booming rural e-commerce market. In urban areas, most of the BOP tend to be disfranchised minority groups, such as migrant workers, domestic workers, or people with disabilities. IB or potential IB approaches operate to meet the needs of these groups by focusing on creating pathways to employment and training opportunities. However, due to high service costs and limited payability, there are very few scaled IB approaches in urban areas. Smaller social enterprise initiatives do exist to target the urban BOP’s fundamental needs, including education and employment. These initiatives usually provide targeted, holistic, and long-lasting support to specific BOP groups, such as autistic children and their families, migrant workers, and domestic workers. Most are still exploring or are deliberately refraining from having a profit-generating business model, so many are still dependent on donations and government subsidies. As an example, Jia Shi Fen is an online-to-offline platform that connects homeowners who need interior construction services with migrant workers skilled in construction. Homeowners can search for workers according to their requirements on the platform, and migrant workers can find a consistent flow of construction projects thanks to this site. Traditionally, many layers of intermediary agents are between homeowners and construction workers, leading to high commissions for these agents and low project fees for construction workers. However, through Jia Shi Fen, migrant workers can earn 10%–15% higher incomes. According to the report, for IB to flourish in China, an enabling environment must be created that develops the capability of key institutions whose support is required for the scaling up of IB in the PRC and companies from the PRC operating abroad. (ii) those focused on the national policy of targeted poverty alleviation, such as energy and e-commerce. To understand the IB landscape further, the ADB consultants undertook interviews with 40 stakeholders from multilateral institutions, businesses, governments, and nongovernment organizations; engaged with global IB networks and stakeholders; and conducted a detailed desktop review. This article is an excerpt taken from an "open access" report published by Asian Development Bank (ADB), under the title - "Inclusive Business Market Scoping Study in the People’s Republic of China (June 2018)". ISBN: 978-92-9261-170-5 (print) 978-92-9261-171-2 (electronic). The report has been made available by the original publisher under the Creative Commons Attribution 3.0 IGO license (CC BY 3.0 IGO). Business for Millennium Development. 2016. Delivery and Effectiveness of Australia’s Bilateral AID Program in Papua New Guinea. This is a Government of the PRC initiative focused on setting specific targets for projects and the expenditure of capital that results in the eradication of poverty. M. Zhang. 2017. How Inclusive Businesses Can Tackle Poverty in China. Stanford Social Innovation Review. 5 January 2017. https://ssir.org/articles/entry/how_inclusive_businesses_can_tackle_poverty_in_china.